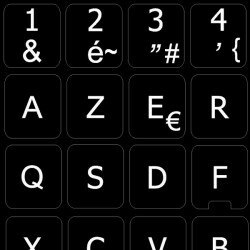 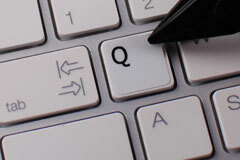 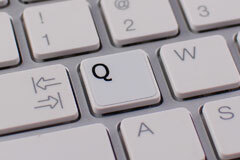 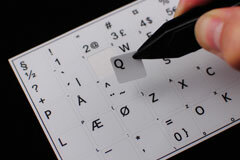 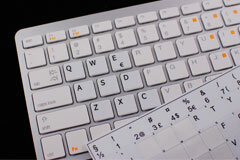 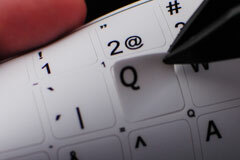 The French AZERTY Alphabet is spread onto non-transparent - matt vinyl. 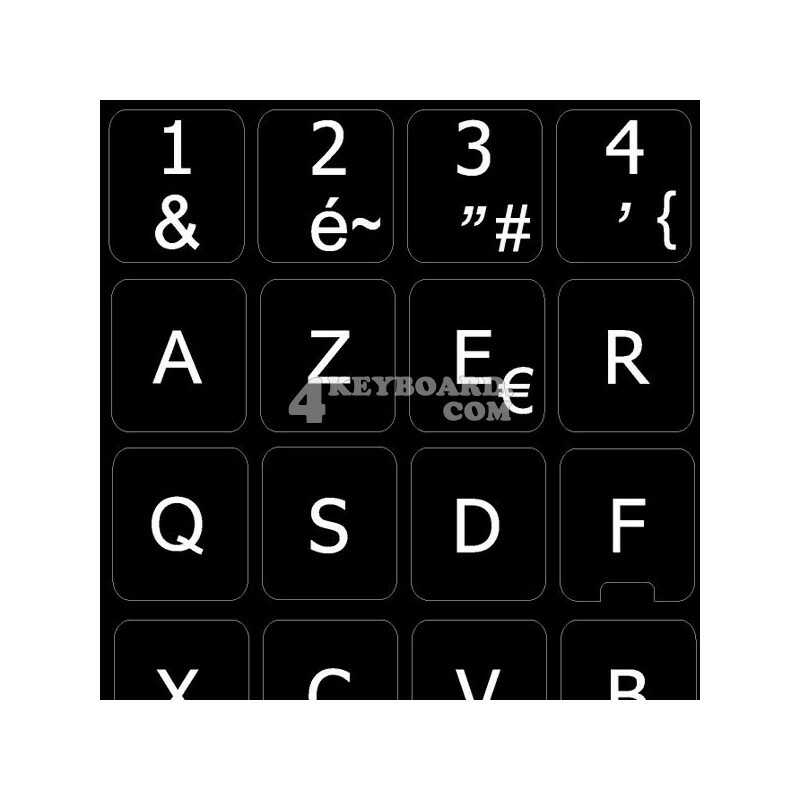 Each set comes with all standard keys to cover a standard French AZERTY keyboard layout for all models of keyboard or laptops. 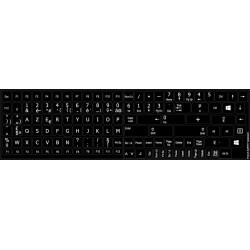 Also, they comprise of a standard size function keys along with 1/2 function keys applicable for modern laptops and desktop keyboards. 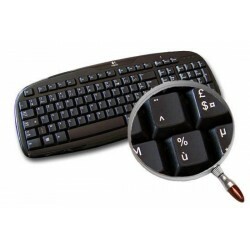 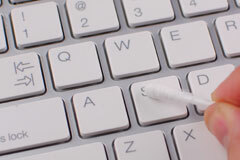 Plus, they come with an additional backspace and backslash ( ) keys compatible with variety of keyboard models.